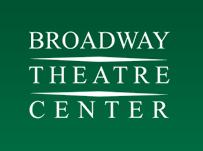 The Broadway Theatre Center houses two unique theaters: the 358-seat Cabot Theatre, a replication of an 18th-century European opera house and the 99-seat Studio Theatre, a versatile black box space. Skylight Music Theatre owns and operates the Broadway Theatre Center at 158 N. Broadway in Milwaukee’s Historic Third Ward. In this brilliant, hot-button comedy, cultures and gardens clash, turning well-intentioned neighbors into feuding enemies. Pablo, a rising attorney, and doctoral candidate Tania, his very pregnant wife, have just purchased a home next to Frank and Virginia, a well-established D.C. couple with a prize-worthy English garden. But an impending barbeque for Pablo’s colleagues and a delicate disagreement over a long-standing fence line soon spirals into an all-out border dispute, exposing both couples’ notions of race, taste, class and privilege.